Posted by Randall Morgan on September 28, 2018 Enter your password to view comments. Posted by Randall Morgan on September 10, 2018 Enter your password to view comments. Rapidly advancing technologies are transforming the mobility landscape. Revenue in the ride sharing market is expected to increase from $9.156 billion in 2016 to $30.329 billion in 2022. Google has been working on self driving cars since 2009, today the offspring company called Waymo has cars on the road. Using newly created technologies and sensors these vehicles are able to understand the environment around them. As the autonomous car drives it uses a system called ‘LiDAR’ which sends out millions of laser beams per second to get an accurate 360 degree view around it. Autonomy in vehicles combined with the rapid acceptance of ride sharing networks is creating a new landscape for urban mobility. These technologies are advancing simultaneously with electrification of vehicles which could allow for even more compact forms of rapid transportation. 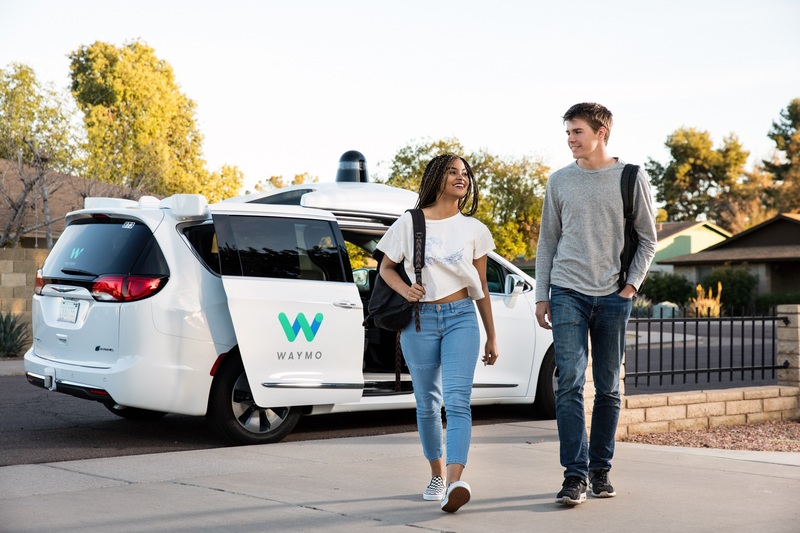 One important factor behind the technology is the ability for the car to learn through experience; the Waymo self driving car has already driven millions of miles on the road and is constantly learning as it continues. It can even predict movement of pedestrians and cyclists for up to three football fields away. Having vast acceptance of ride sharing services and self driving cars will allow cities develop large areas that are currently used for parking. In addition, many areas with parallel parking on the roadside can be converted into bike lanes allowing for safer and energy efficient transportation methods. Walking and cycling are the most sustainable forms of transport and will improve the quality of built environment and climatic conditions. Smart cities and the internet of things are closely related topics. It is expected that by 2026 the internet of things will be a part of everyday life. While there are many definitions for what a ‘smart city’ could be, two common themes are universally accepted: optimization & efficiency. These ideas will be made possible using the technologies of the internet of things. In essence this term refers to devices that transmit and receive data via the internet. By 2020, 250K vehicles will be connected to the internet. Some estimates predict that the IoT will add an additional $10-15 Trillion global GDP over the next 20 years. The internet of things will be enhanced alongside the rapid growth of personal electronics Subcutaneous sensors, power management, wearable devices (watches, clothing, appliances) and home automation. Technologies will be embedded into automobiles, streets and public spaces to create a powerful network of interconnected devices. Since all of these sensors and data will be integrated into the IoT, information such as traffic data, air quality, and accidents will be transmitted in real time and to other devices allowing for transportation systems to be redirect in the most efficient manner. The future of Urban Mobility lies in these emerging technologies. An additional advancement is the production of ‘Ecologic Low-Budget Electric Vehicles’ (ELBEV) which could start to replace larger electric vehicles such as they take up less space and will be cheaper to maintain. The decreasing cost of monitoring devices and sensors measuring both internal and external data (speed, GPS location, battery, air speed etc.) will be transmitted in real time to users. As broadband internet becomes more available, the cost of connecting is decreasing. More devices are being manufactured with Wifi capabilities and sensors built in and the overall cost of technology is going down. The ability for smartphone to penetrate environments is increasing exponentially, especially with the 5G systems already being installed within the US. All of these factors are creating a perfect scenario for the IoT to take hold and contribute to the optimization and efficiency of our cities using most of the current infrastructure. Another important factor is walkability, which can be defined as “the extent to which the built environment supports or encourages walking by providing pedestrians with comfort and safety, connecting people with various destinations within a reasonable amount of time & effort, offering visual interest in the journey throughout the network.” Therefore, a complete transportation network must allow for pedestrians to seamlessly transition from foot to subway/trolly/train/bus etc. Ideally a pedestrian path provides for safety and comfort to pedestrians of varied ages and physical conditions. The path should be continuous, absent of gaps and have a relatively even and smooth surface. No irregularities that could add difficulty or hazard to walking and wheelchair use. The path should be wide enough for at least 2-3 people to pass one another or to walk in groups and much wider in an urban setting. In a city with snow and ice terrain can be a significant factor. Certain conditions may require steps or railing in sections to assist pedestrians. Any encroachments (utility poles, mail boxes, vending machines etc.) will compromise the walkability by constricting the pathway or blocking crossings. In designing a transportation hub for the future it is important to consider where the mobility landscape is heading. It will become more practical and cost effective for people to use ride sharing services, ELBEV and walking. Intelligent vehicles will make urban mobility safer, convenient and eco-friendly than current the current transportation landscape.